A Simple Apartment with a Clean Color Palette - The Hieno! 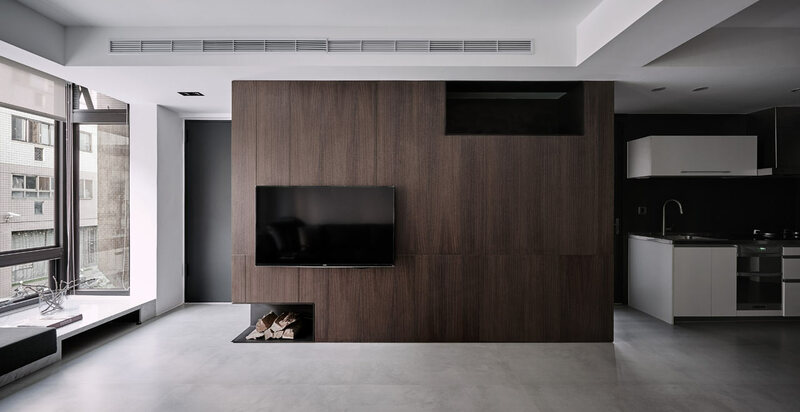 Z-AXIS DESIGN renovated this 122 square meter (~1313 square foot) apartment in Taichung, Taiwan due to the fact that it was old and had a leak that caused mold issues. The design involved a new layout and a simple, refreshing scheme that involved white paint, dark wood, and grey concrete walls. Once you enter the apartment, the living room, dining too, kitchen, and study come into view. The clean palette creates a cohesive vibe and give it a modern feel.